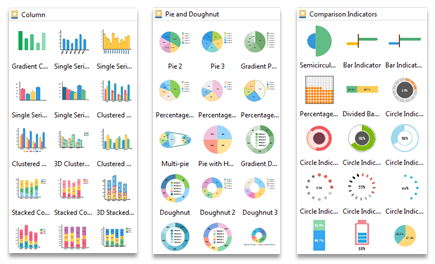 Chart and graph maker allows you to create pie chart, column chart, line chart, area chart, bubble chart, spider chart, scatter chart and gauges chart easily on Mac OS X. Edit data interactively in the built-in spreadsheet. 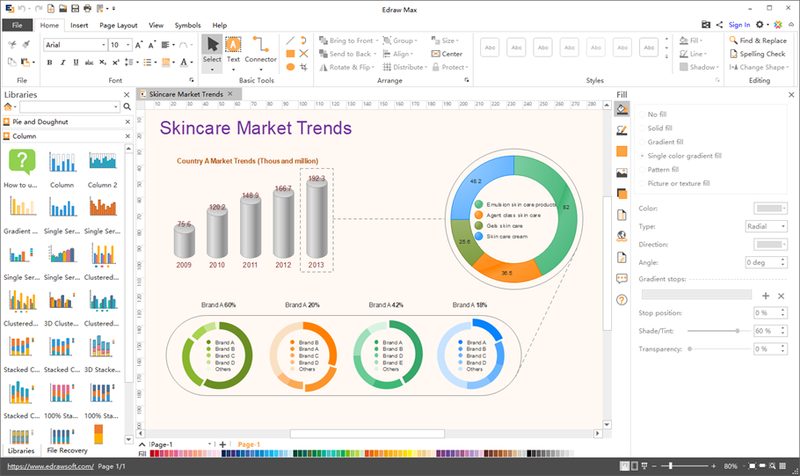 Edraw Max allows Mac users to make a wide variety of charts and graphs with a user-friendly method. All charts have built-in spreadsheet through which you can set the category and series data in real time. It also lets you import your XLS, XLXS and TXT files to generate a chart. To visualize data, there are many types of charts and graphs you can use. From our chart maker, you can find over 60 chart styles. Choose the right chart model before you start. 1. Double click the data label and enter a data. 2. Edit data through the spreadsheet. 3. 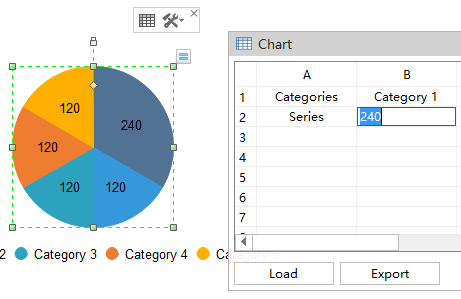 Create a data file (XLS, XLXS, and TXT), and import the file to generate a chart. Lots of well-build chart and graph templates are provided both in the software and on our website. 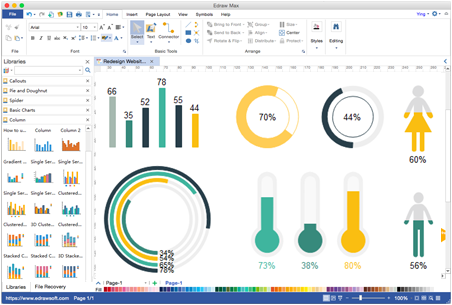 You can take advantage of these templates when you need to create charts and graphs on Mac. Below shows what charts and graphs you can make with our program. Each type comes with lots of beautiful start templates. Enjoy creating charts and graphs with this automatic chart maker on Mac. 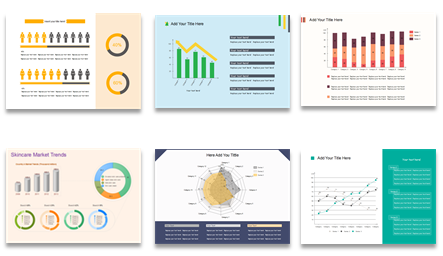 It lets you make presentation-quality charts with the least effort and share with others by exporting to lots of formats. Try it today!